During Measurement Month (5-30 November), Citypress will be offering a limited number of free “ASK AMEC” measurement masterclasses. During the hour-long, one-to-one sessions Citypress can offer training on best-practice evaluation, work with PR teams to trouble-shoot their reporting problems, help devise new and more impactful ways to measure results or offer career coaching for those who want a career in measurement. To book your slot, email measurement@citypress.co.uk. New AMEC Measurement Month Twitter Leader Board resource for each global region provided by member Impact Research & Measurement. 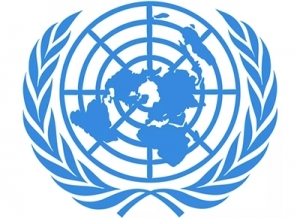 The United Nations is using AMEC Measurement Month to run a worldwide series of staff Training Workshops on evaluation practice and especially the use of the AMEC Integrated Framework. The workshops are being developed and organised by Janet Wieser, Chief – Evaluation and Communications Research Unit, Department of Public Information. The workshops will start at the beginning of November and run throughout the month. Grayling USA’s chief client officer, Danica Ross provides the perspective of someone who spent 10 years client-side, while the agency’s global head of strategic services (and AMEC board member) Jon Meakin highlights the size of the prize for agencies that take measurement and evaluation seriously. This White Paper is free to download and forms part of a four-part series from Grayling, in support of AMEC Measurement Month 2018. This webinar is presented by IPR‘s Commission on Measurement and Evaluation. For too long, the main focus for internal communications has been building and measuring employee engagement. But what does it really mean, and how do you raise employee engagement? What Internal Communication professionals should be measuring are the 21 components of engagement divided among outtakes, outcomes and organizational impact. Recently codified by Sean Williams, Julie O’Neil, and their colleagues (see the February 2018 PR Journal) each grouping has specific standards that can be measured independently of each other and thus be tackled for improvement in many ways—words, symbols, actions, etc. All together, these 21 standards might define “engagement” but without measuring them independently, we really won’t know the root cause of an engagement problem. This session will examine the 21 Standards and explore ways that measuring some (or all) can start a change effort all on its own. Today, one wrong move can ignite a billion-dollar scandal. Some brands are able to quickly pivot and take control of the narrative. Others are slow to act and left with a reputation in shambles. 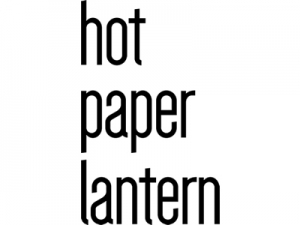 Many have asked, “What’s the cost of crisis?” Hot Paper Lantern set out to define the real, measurable impact of such an event on a business and its bottom line, based on how fast and effective a company responds. The result is the proprietary HPL Crisis Response Index, which quantifies the impact of a crisis and a company’s response marked by fluctuation in stock price and market capitalization. Built on deep analysis of 400,000 articles, 80,000 social mentions and over 50 crises impacting 45 major brands, the Index captures 30 years of historical data to draw actionable insights. This webinar will feature a walk-through of the Index and a discussion on tips for measuring the impact of a crisis response, and key learnings you can apply when a scandal rocks your business. 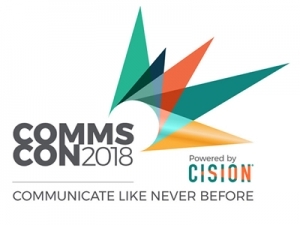 There’s an earned media revolution happening and CommsCon is Cision’s inaugural communications congress. In a world where fake news and an increasing lack of consumer trust means that PR is now more important than ever to shape a business communications strategy, Cision brings a day of discussion that will address this shift. The day will be split into keynote speeches, panel events and debates. Sir Craig Oliver will be leading proceedings with insights from his days as David Cameron’s director of politics & communications, and you will hear from publications as diverse as LADbible, The Sunday Times and Pink News as well as PR representatives from KFC, Gumtree and HSBC. Attendees will also have the chance to experience the most advanced technology yet to come out of the Cision innovation lab with a demonstration of Cision Image IQ which will revolutionise the way PR and comms practitioners track visual campaigns. AMEC MM: Are site-wide metrics the new ave? We all know AVE is the taboo metric in Public Relations but are the metrics you’re using just as bad? Whether you’re in-house or agency-side measuring the success of PR activity is a challenge. In this webinar, Stella explores why uniques and monthly traffic figures are useless in measurement & shares an alternative that will provide true insight and feed strategy. In the Spring of 2018 the World Bank introduced at the CommNet Global Forum its first organization-wide Communications M&E Framework developed by collaboration with Rockland-Dutton Research and Consulting. Over 100 World Bank communication professionals from all over the world attended the session. A smaller group of 20 volunteered to be internal advocates for good communications M&E practices. Seek feedback on a draft Guidebook for Communication’s M&E at the World Bank currently in development. #measurePR Twitter chat with Shonali Burke and new AMEC Global Managing Director Johna Burke. As part of AMEC Measurement Month in September, Jesper Andersen of Quantum PR Measurement is collaborating with AMEC and with internationally recognised experts to create a free e-book on communication measurement and evaluation. 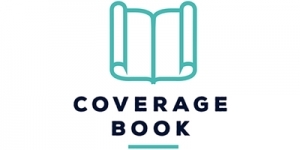 The e-book will feature 12 different articles, one for each contributing author, and will cover a wide range of perspectives from all parts of the globe. The e-book will be available for download on the AMEC website from November 12th. This Breakfast will take place at Uruguay’s National Opera where we will showcase proper practices and methodologies for the measurement of the impact of communications. The event is open to all who want to attend. Please register appropriately and arrive in time as accreditation is required by the Opera and cannot be done on site. Grayling’s Head of Latin America, Lucia Domville, and USA chief client officer, Danica Ross, offer a Pan-American perspective on what to strive for when designing a measurement model. In this event we will go through the history of management science applied to PR and how to manage communications based on hard data and real information. Qualified evidences regarding the success of PR measures are increasingly demanded by PR evaluation: whether for the optimization and control or the legitimisation of further PR activities. The seminar gives an overview of possibilities and instruments on how to measure the PR goals of a company, the goal achievements and the achieved success. It also provides arguments on how PR’s contribution can add value to the company. In this interactive panel discussion, we’ll share the key findings from Isentia’s new Leadership Index – the first in a series of reports that explore movements in the leadership space, ranking prominent CEOs and leaders based on their presence, positioning, and ability to drive their organisation’s media profile. “Nuevas tendencias en la medición de contenidos y estrategias de comunicación”. It will be followed by a case presentation at the launch of the EIKON Prizes in Chile at the Catholic University, attendees are encouraged to attend both events for a complete experience, we will provide more information upon registration. This event will focus in showcasing new trends in measurement and how to integrate them into comms strategies. The UMD Communications program offers a course in measurement and analysis which allows students to address a real-life client challenge, given by UNICEF USA, and present their findings/recommendations to the client in-person. Emily Peet will present to the students on data visualization, building a PowerPoint deck for a client, and creating a story out of qualitative and quantitative data. I will also be answering questions about the field of communications measurement and providing insight into finding a job or career in this emerging field. PRIME Research’s Jennifer Sanchis, will provide an introduction to the importance of measurement, reveal the latest tools available and run a practical workshop. She will demonstrate how any organisation can benefit from the AMEC Integrated Evaluation Framework. DeFacto-BusinessBreakfast: Die Macht des guten Rufs – Wundermittel Reputation? The power of good reputation – “Miracle cure” reputation? Prestige and recognition are among the strongest driving forces of human action. In economic life, positive reputation is considered as a valuable asset, which gives companies advantages on many levels and can even significantly increase a company’s value. But what factors are necessary to build and maintain trustfulness or an image? And how can reputation be measured and substantiated? The Internet is often the first and most comprehensive source of information regarding products, brands, and companies. As a consequence there is a very high confidence in user reports and online reviews, which promise real experiences and authenticity. However, a single negative opinion may cause massive damage. So, is the reputation of a company really that fast ruined, or are there any tools to build long-term reputation values? At the DeFacto-BusinessBreakfast, high-level experts from science and practice will discuss this matter. A European perspective from Grayling UK CEO, Sarah Scholefield, and Continental Europe CEO, Jan Simunek. Sarah and Jan will outline the challenges faced by clients and agencies alike, when it comes to effective measurement and evaluation – and offer some tips on overcoming them. In the modern world everyone and everything is connected, so when a consumer wants to engage with a brand, marketers must be ready and flexible. In order to achieve this, more data and insights are needed than ever before. Whilst the use of analytics is quickly growing, the algorithm culture remained siloed, but not anymore. Welcome to the age of quantified engagement. Join Giles Peddy, SVP EMEA LEWIS, and Gerard McNamara, VP EMEA TrendKite, in a one hour webinar. Giles will explain how the LEWIS Marketing Engagement Tracker (MET) allows brands to quantify engagement and gain practical insights. He’ll also explore the LEWIS Marketing Engagement Index 2018 and learn lessons from some of the world’s biggest brands, discovering what it means to be a marketer in the age of quantified engagement. Gerard will discuss using technology and analytics to support quantified engagement and to better optimise and enhance marketing programmes. The emphasis of this special Measurement Month conference will be to showcase ideas and thinking from PRCA and AMEC members to make measurement matter within a PR consultancy or in-house team. Agenda and more details to follow shortly. The concept of “reputation” has occupied the communications industry for the last two decades evermore. Particularly in order to distinguish it from the “image” the discussion regarding the concept of reputation has experienced a tremendous upswing. Meanwhile, it has become clear in reputation research that an increased reputation vastly adds to a company’s value. Not only “soft” aspects such as trustfulness, crisis resistance or the attractiveness as an employer are positively influenced by reputation, the effectiveness of the “miracle cure” reputation further ranges from customer loyalty to creditworthiness and the increase in share price. But how is such an all-purpose elixir produced? Which criteria are necessary for a successful and sustainable reputation building? How can a good reputation in people’s minds of a target group be measured and used for predictable business goals? How is measurement connecting different communication and marketing functions in organizations? How is digitalization affecting the cooperation between PR and marketing? What can PR and marketing learn from each other when it comes to measurement and effectiveness? How is measurement in PR and marketing perceived by the top management? Live on-line voting where the audience will answer questions relative to the topics above. We will use the data as introduction to the panel discussion. The event will look into success factors of internal measurement on leading indicators that support communication, business and HR processes and the ability to become an innovative organisation. 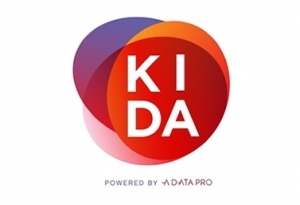 The event will also show the Prindit platform for data collection and visualisation of data. Several speakers with then talk about the transformation an organisation can go through by using an insight driven work process that gives a more communicative and productive business. 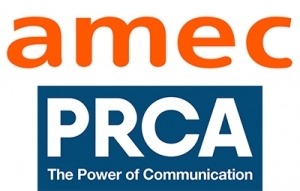 AMEC’s new Strategic Partner, PRWeek, is running a special Measurement Week Breakfast briefing. Tickets now available. 09:05 How to improve the quality of PR measurement programs – The AMEC M3 – an industry first! 10:05 Spotlight on attribution: How can PR use measurement to prove its worth against other channels? Dr Kevin Ruck, co-founder of PR Academy, will explore the ICQ10 model he has developed for internal comms & engagement measurement. This model can be used to assess the state of communication and help develop practice in ways that lead to higher levels of organisational engagement. Event produced by: NEWTON Media, a.s.
Three experts from the media, advertisement and analytical field will share their opinions and experience with influencer marketing. Andrea Hurychová will give tips on how to effectively cooperate with influencers. Jan Felt will give advice on which channels to use to maximise the outcome and profit from invested finances. And Alena Zachová will show how marketers can deal with evaluation of the influence that their campaigns have on social media. 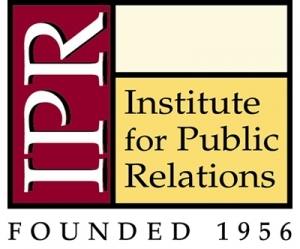 How can Public Relations prove its worth? Moving beyond invalid metrics and empowering 21st century communicators – a practical workshop. 21st century communicators are faced with ever-increasing demands of evaluating performance and reporting PR ROI. Unfortunately, many still resort to metrics widely denounced by the measurement industry as flawed. The use of such metrics, which is traditionally associated with other practices of communication such as marketing and advertising, can have profound consequences for communication professionals and in the worst case even lead to bad publicity. With AMEC’s Integrated Evaluation Framework as the underlying basis, the workshop will seek to move beyond flawed metrics and in doing so empowering PR practitioners and communication professionals with credible and consistent approaches to evaluating and reporting the effects of public relations and, in turn, proving their worth to the organisation. PR News will present the results of reputational research over the past 5 years in different markets: telecom, IT, insurance sector and finance. In particular, PR News will present the results of study “The reputation of telecom companies in the era of digitalization and sharing economy” – the result of a survey of more than 90 experts and a mass survey of more than 2,000 consumers of telecom services. Ornico will discuss the Barcelona Principles 2.0, The Integrated Evaluation Framework, the launch of the Measurement Maturity Mapper and will present various case studies of best practices from across the world. “The Value of Communications” is a one-day conference introducing Bulgarian and regional communications professionals and students to the latest developments in communications measurement and evaluation, and offering insight on trends and challenges locally and regionally. Johna Burke, AMEC Global Managing Director. Further speaker details to be confirmed. The event will be centred on PR measurement & evaluation, Barcelona Principles and the relationship between PR, Measurement and Evaluation as well as best practices using #EvaluatePR alongside #AMECMM on twitter. #EvaluatePR will be a virtual event on Twitter, targeted at everyone in the Communications and PR industry (brands, PR agencies and other Measurement and Evaluation firms). To enlighten, broaden thoughts on reasons and gains of Measurement and Evaluation. We shall use this medium to propagate the importance of a PR Measurement program in Communications’ plan, Barcelona Principles, enlighten our audience about Measurement & Evaluation. And also establish a link of good network across media related fields. #EvaluatePR shall create network for both local and international Nigerian practitioners. Damilola Sobajo, PR Consultant (Nigeria). Damilola Joseph, Media Analyst, P+ Measurement Services. A 3 hour event that will cover the AMEC measurement framework in the first hour session and in the second hour session would break the groups into mini sessions so they would apply the framework to their own issue or organization and present it back to the group. AMEC’s Asia Pacific Chapter is holding a virtual “meet & greet” webinar on the first day of Measurement Month in the Region. This will be a call hosted by the Chapter Co-Chairs between our members in the many different markets in APAC. We are looking forward to getting to know our new members better as well as having a great discussion about the industry trends in our markets. Khali Sakkas, Chief Executive, Insights, Isentia, Co-Chair APAC Chapter. As part of Grayling’s month-long look at measurement and evaluation issues facing clients and agencies, the agency’s Loretta Ahmed (CEO, Middle East and Africa) and Stephanie Stamatakou (CEO, Asia Pacific) look to the future, at some of the tools and technologies that will transform our ability to use analytics to inform communication strategies. 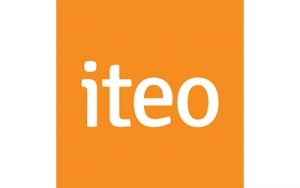 Event produced by: Kommunikasjonsforeningen, Quantum PR Measurement, BI Centre for Corporate Communication and Iteo. Many of the methods used by the communications industry to measure and evaluate their work are no longer sufficient. To be effective, communication needs to be planned and measured in a more integrated way, and we must show how our work effects organizational goals. This breakfast meeting will provide good advice on how to measurement to demonstrate the value of communication, how to measure and evaluate through the entire value chain and how you can become a measurement Jedi. 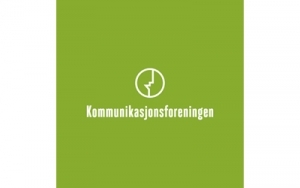 Svein Inge Leirgulen, Central Board Member of Kommunikasjonsforeningen and Director of Comunications in Tekna. Jesper Andersen, CEO and Strategic Advisor of Quantum PR Measurement. Alexander Buhmann, Assistant Professor of BI Department of Communication and Culture, and Co Director of BI Centre for Corporate Communication. The emphasis of this special Measurement Month conference will be to showcase ideas and thinking from PRCA SEA and AMEC members to make measurement matter within a PR consultancy or in-house team. Grayling’s Danica Ross (chief client officer), and Jon Meakin (global head of strategic services, and AMEC board director) will discuss the top challenges facing in-house comms professionals when it comes to demonstrating ROI to the higher-ups, and what they should be looking for from their agency partners. An inspiration meeting on The Future of Accountability on Tuesday November 27 from 5:00 pm to 8:30 pm with Claire Pimm from the Cabinet Office of the GCS (British RVD) as keynote speaker. The meeting includes a rooftop dinner and an informal Pub meeting with a live discussion about the current status of accountability in the Netherlands and where to go for the future. André Manning, the director of Logeion and former communications Director of Philips, will moderate. Claire Pimm from the United Kingdom will be keynote speaker. 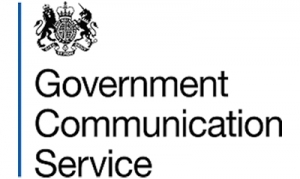 As Deputy Director Campaigns, Insight and Evaluation for the Prime Minister’s Office and Cabinet Office Communications, Claire is responsible for the rollout of the UK Government Communication Plan with which the British government is at the forefront of planning and evaluation of communication. The AMEC Young Leaders Group would like to welcome young measurement and PR professionals to a Q&A and networking event for Measurement Month. Discussion will focus on overcoming perceived barriers to measurement, both in-house and with clients. The session was conducted for the students of The School of Communications and Reputation (SCoRe) which is a premier institute dedicated to the development of education & research in reputation management. It is also the only institute endorsed by The Public Relations Consultants Association of India (PRCAI) – A group of India’s top PR firms. Located in India’s financial capital Mumbai, & emerging corporate hub Gurugram, SCoRe offers a full time, Post Graduate Programme in Public Relations, with specialisations in Corporate Communications and Political Communications. The session was conducted virtually using video conferencing. Aseem Sood, CEO, Impact Research & Measurement Pvt. Ltd.
Find out how the Department for Exiting the European Union (DExEU) evaluate engagement amongst key influencers and other audiences. The session will cover using the GCS Evaluation model 2.0, collating insight across government, global media/social media monitoring and analysis, and weekly/ad hoc dashboards. Learn how to measure the impact of communications and focus on outcomes rather than outputs. Through examples and industry best practices facilitators José De Buerba and Margaret Allen will present a measurement framework and introduce the new Guidebook for Measuring and Evaluating Communications at the World Bank. Sponsored by AMEC North American Chapter Members: Talkwalker, Ketchum and Coverage Book. On November 29th, please join us in celebrating a wonderful month of Communications measurement, data and analytics with some AMEC North American Chapter members. We will provide highlights from some of key events from the past month. AMEC chapter members will be present to help answer questions and widen your networking circle, and we will leave you with some educational takeaways that will hopefully support your next steps on your Measurement/ Analytics journey! Chapter members from all types of organizations- agencies, in-house, analytics and monitoring vendors- will be present, including our AMEC North American Chapter Chair. If you have questions, want to meet new people, or simply want to raise a glass to another fantastic Measurement Month, please join us! The fun starts at 5:45 at a WeWork space at 205 E 42nd St, New York, NY 10017 on the 19thfloor. Drinks and some light appetizers will be provided. WeWork space at 205 E 42nd St, New York, NY 10017 on the 19thfloor. Event produced by: New resource coming from ISBA working with the Engine Group. A comprehensive new look communications industry guide on KPIs and measurement will be digitally published in AMEC Measurement Month. The guide is being produced by ISBA, the voice of British Advertisers working with the Engine Group. AMEC, the PRCA and PRWeek UK are all endorsing the Guide. The guide is designed to show current industry best practice regarding measurement; help communication professionals set briefs and KPIs; and provide a framework to appropriately assess how effective your agency / campaign has been. More details about the Guide’s publication will be available soon. Social Intelligence World is a one-day event dedicate to everything social data and insights. On the 30th of November 2018, join 200 social intelligence professionals to learn, network and explore what best practice looks like in the analysis and implementation of social data in business. Whether you analyse, interpret, utilise or build the tools of social data our one day event is for you. We’ve brought industry leaders, breakthrough thinkers and the experts behind social intelligence for a packed schedule of inspiring talks. Our focus for 2018 is Humanising Data – get ready for a of inspiration and thought provoking insights you can take back to the office and apply straight away. And, more to be confirmed. Due to high demand, we have to limit the number of tickets to three per organisation.